Crooked teeth can cause all sorts of problems, including oral hygiene issues, an increased risk of tooth breakage, and aesthetic concerns. However, even if you are all too familiar with the woes of a misaligned smile, you might hesitate to get braces because you dislike the look of all those brackets and wires. ClearCorrect in Palm Bay may be the aesthetically pleasing orthodontic solution that you’ve been looking for! Instead of using brackets and wires to reposition your teeth, ClearCorrect uses a series of removable, clear plastic aligners. You wear each aligner as much as possible for two weeks, and it applies gentle and continuous pressure to your teeth in order to reposition them. Every time you switch to a new aligner, your smile gets a bit closer to perfection. When you visit your dentist in Palm Bay for your ClearCorrect consultation, they’ll take some X-rays of your mouth, examine your teeth, and design a customized treatment plan for you. They’ll order your aligners, and you’ll be on the road to a straighter smile before you know it! Since the aligner trays are clear, they won’t mar your smile or your confidence. The removable nature of the aligners allows you to eat and drink whatever you like — no dietary restrictions! There are no metal brackets and wires to irritate the sensitive soft tissues in your mouth, such as your lips and cheeks. You can take your aligner out when you’re brushing and flossing your teeth, so you won’t have to navigate around brackets and wires in order to keep your mouth fresh and clean. Depending on the nature of your orthodontic issues, ClearCorrect may be a faster treatment option than regular metal braces. Average treatment time is about a year, but in some cases, it may take as little as six months to achieve the desired results! The cost of ClearCorrect is comparable to that of traditional orthodontics in Palm Bay. ClearCorrect is a remarkable treatment, but it isn’t suitable for everyone. Children may not be able to use it because their teeth are still developing, and they may lack the self-discipline that is needed to wear the aligner trays the recommended amount. Also, adults with severe orthodontic issues may not be good candidates for ClearCorrect. Would you like to discover your smile’s potential? ClearCorrect may be the ideal treatment to get your teeth right where they belong! Dr. Christopher Nowacki is a general detist who is proud to serve as your certified ClearCorrect provider in Palm Bay. 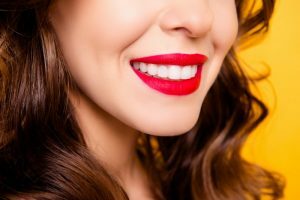 He approaches each case with compassion and careful attention to detail so you can achieve the beautiful and healthy smile you deserve with as little fuss as possible. To schedule a consultation with Dr. Nowacki, contact our office at 321-724-9300.